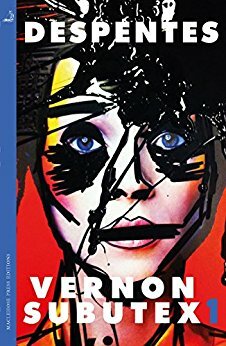 When Alex Bleach, the only one of his friends to have made it big in the music business, dies, and, more importantly, can no longer be relied on to pay his rent, Vernon also finds himself without a home. As he sofa-surfs from friend to friend – contacting them – of course – via Facebook – Despentes introduces us to his past (as he avoids contemplating his future), and a generation whose best years are behind them. Rather predictably the novel, with its large cast of characters, has been compared to contemporary box sets. This seems both an unlikely and patronising comparison. Firstly, it has very little in the way of plot, though it does have plot-generating McGuffin in the form of tapes Bleach recorded and left with Vernon which a number of characters are keen to get their hands on. The most obvious predecessor for Despentes is, of course, Balzac, particularly when we learn there are another two volumes to come. There also seems to be a sly nod to Georges Perec’s Life: A User’s Manuel which also tells the stories of many characters but is centred on one apartment block: what could be more appropriate than a contemporary version where the writer is able to tell those stories because the protagonist is homeless? Despentes ability to inhabit the minds of her characters, and invest them with an individuality which rises above caricature, is the novel’s most astonishing achievement. Its final pages, where the narrative skips from person to person in a series of “I am”s which becomes steadily more intense makes Despentes’ choral intent clear. There’s nothing punk about this fiction except perhaps the energy which pours from its pages; it is both controlled and carefully crafted, a novel of our times and for our times. You are currently browsing the archives for the Virginie Despentes category.